Looking for reviews of your favorite Audio Dramas? Recently started, is Audio Cinema Review! 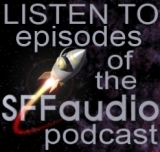 Besides just reviews of Audio Drama, we also have round tables with people who are in the Audio Drama scene, and panels from different con’s across the country. The Adventure Hear Podcast – Lets you Hear Adventures! I was wondering if we can request audio dramas?